If you own a home, chances are you’ll encounter a broken pane of glass at some point. If you have kids, pets, or an idiot husband (or neighbor), those chances go up quite a bit. Our dogs broke the first three panes of glass I had to replace. I broke the next three. The first I broke with an extension ladder. The last two I broke trying to reglaze them. The cracked pane in the photo above was broken at some point during the last three years. It might have been cracked when we bought the house, but I can’t remember. This particular pane was in one of the upper window sashes in the window bank in our front room. Since I’m restoring those windows, I figured I’d go ahead and replace the broken pane. Hopefully I won’t need to replace any others in this bank. We’ll find out as I reglaze those. Removing the old glazing sometimes results in broken glass. 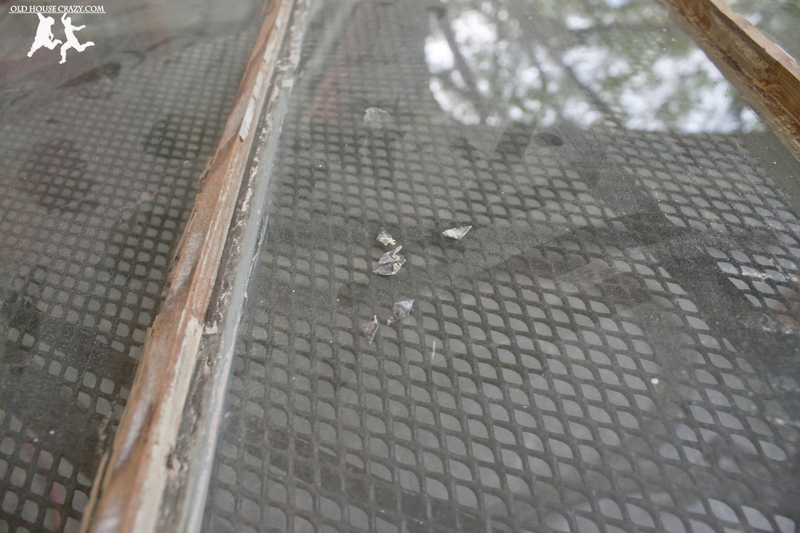 The video above shows how I removed the old glazing compound from the broken window pane. 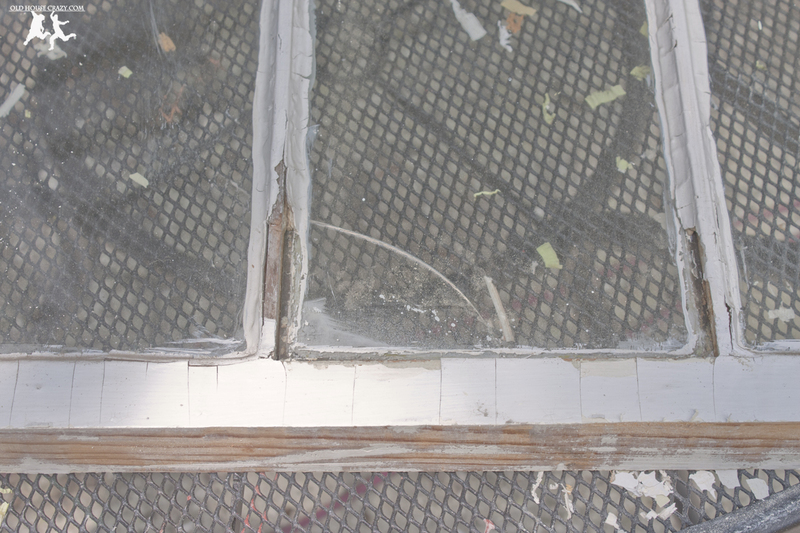 For the windows I’m restoring, I’m replacing ALL of the glazing compound. While glazing compound lasts a really long time (50 years or more), it had finally worn out on my windows and was falling apart. When that glazing cracks or chips, water can get behind it and rot the window sashes, the window frames, your floors, etc. Now if you’ve got new aluminum or vinyl windows, you shouldn’t have old-fashioned glazing compound. Since I don’t have that type of window, I can’t speak for certain, but I think you’ll have caulking or strips of sealant. That glazing compound starts off feeling very similar to playdoh, maybe a little softer. 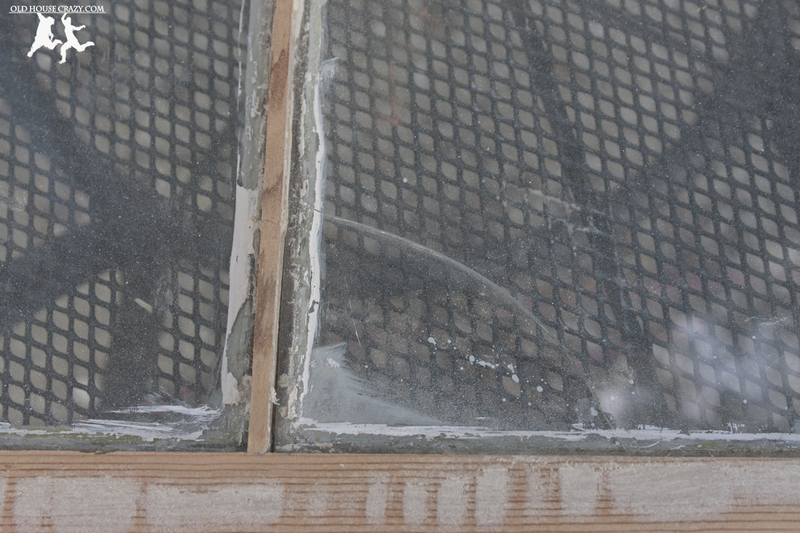 Once it’s applied and cures on the window pane, it hardens to a consistency similar to cement. It is very hard and does its job extremely well if you take care of it. That includes painting it carefully and regularly (each time you paint your house or windows). 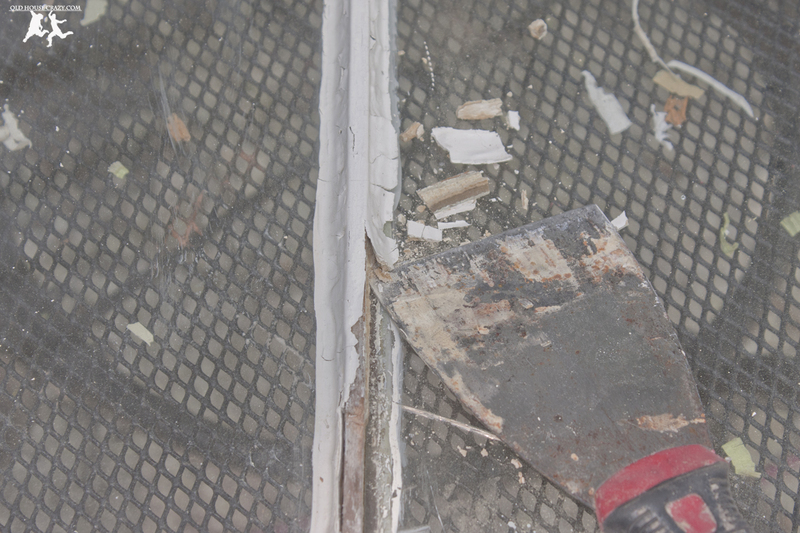 To remove the old compound, I use a stiff putty knife with a beveled edge. 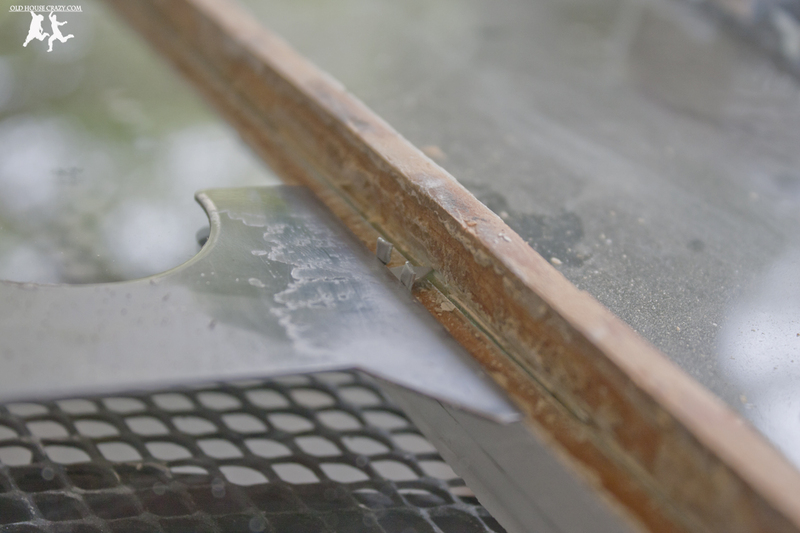 Place the edge of the putty knife completely flat on the glass and move it under the glazing compound. It will require a good amound to pressure, so be very careful not to lift the putty knife off of the glass. If you press a point of the knife into the glass with enough force to remove glazing compound, you can very easily break through the glass. But the glass is already broken. Why don’t we just break it and pull out the pieces? You can do that. It’ll get the job done. But you’ll still have to remove the old glazing compound from the window sash with a putty knife and now you’ve got broken glass all over the place. I try to keep the shards of glass that can stick in my skin to a minimum. After you’ve cleaned up the old glazing compound, you’ve got to find and remove the old glazing points. 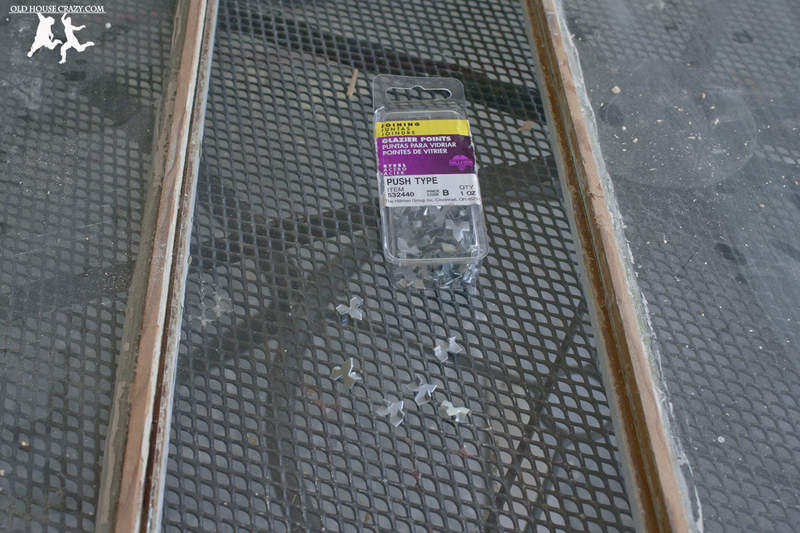 They’re little diamond-shaped shards of metal that hold the glass in place in the window sash. They are put in place using a point gun very similar to a staple gun. I pull them out using needle-nosed pliers. After you’ve got the points out, you can remove the old glass. The only things holding that glass in place are little shards of metal and some hardened playdoh. Remove those things and the glass comes right out. New glazing points are a little bigger. You can push these in without buying a glazing point gun. Go to the hardware store and get some glass cut to fit the hole in your sash. You can get the glass cut an eighth to a quarter of an inch smaller than the hole. If you get it cut to the exact dimensions and the sash is a little out of square, the glass won’t fit. If it doesn’t fit, you can’t trim it down. You’ll have to get another piece cut. Push in the glazing points with a putty knife. This is the most likely part to break the new pane of glass. Since I don’t have a glazing point gun, I use push type glazing points. They’re much bigger than the old points and are therefore harder to cover with glazing compound. They’ll also make it much easier to crack your new glass. You can see the technique in the photo above. Using a glazing knife or putty knife. Once again, hold the knife perfectly flat and use as small an angle as possible. What I mean is that you should hold the knife almost like it’s laying on the glass. If you apply downward pressure while you’re pressing the glazing point into the wood, you can very easily crush the glass right on the edge. You’ll then have to start over with a new pane of glass. I’ve done that several times. I’d recommend buying two panes if this is your first time, just in case. Above, you can see a new glazing point properly installed. It’s flush with both the glass AND the wood. These panes were 28 inches tall by 6 inches wide. I used one glazing point in the middle of each short side and three points on each of the long sides. Stay away from the corners. They are extremely easy to break. Come about 4 inches away from the corners on the long sides before you apply your first point. 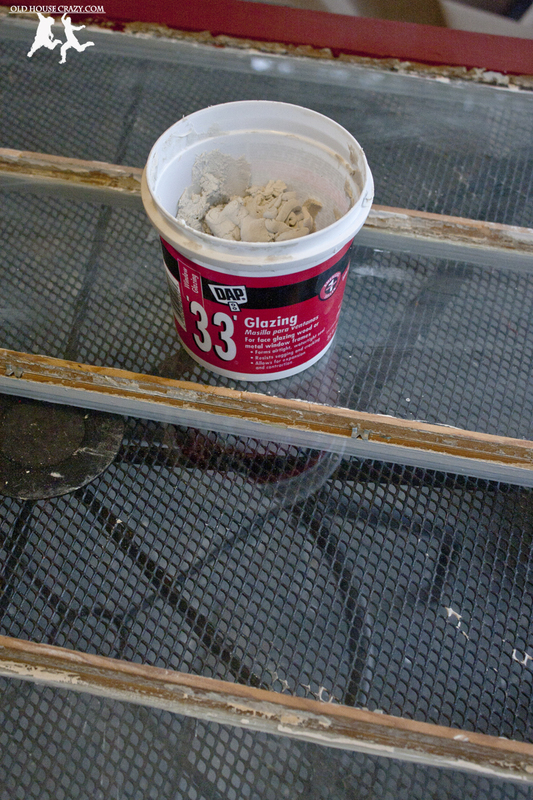 DAP ’33’ glazing compound is what I use to seal my window panes. I’m not sure if there are other products that’ll work, as this is the only glazing compound the hardware stores in my area carry. The technique for applying it is shown in the video below: I take a little in my hands, roll it into a thin snake, and press it around the edges of the glass. I then use a glazing knife to shape it and clean it up. 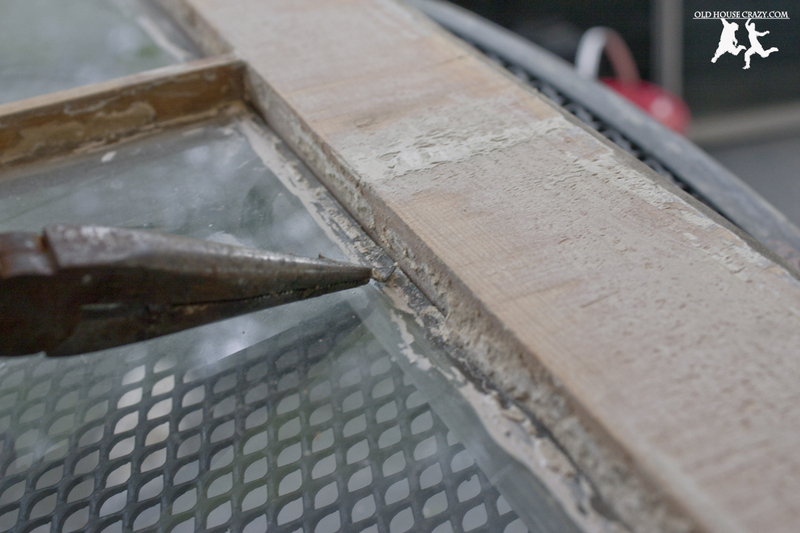 This technique took a while to perfect, so plan to try multiple times on your first window repair. According to the packaging of DAP ’33’, you’re supposed to let it skin over for a week or so before you paint it with an oil based primer. I got into a discussion at the hardware store about this because the sales staff was sure that the pros paint the compound on the same day they replace the glass. I’m sure they do. Since you’re doing this yourself, you can follow the manufacturer’s directions and wait before you paint. The compound should last longer. This entry was posted in DIY, Don't Hire a Professional, Exterior Maintenance, Front Porch, Old Hardware, Restoration, Tools and Techniques, Windows and tagged old ways, reglazing, window sashes. Bookmark the permalink. I use door/window silicone to seal in my windows. 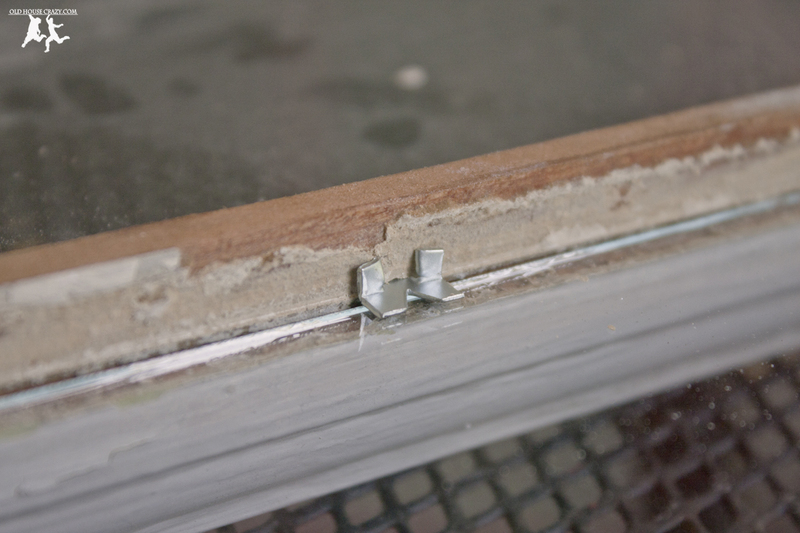 Probably the glazing compound was made prior to there being the silcone products available and I’d say that cutting the windows more to an 1/8″ shorter deminsion would work better than 1/4″. Of course, I use a thick polyglass to replace any broken windows as it seems to take a “hit” a little better than regular glass. Plus, if you should measure it a little too big you can take a handheld grinding wheel and carefully size it down a bit to fit just making sure you don’t let the rock stay in one place for too long as the “glass” can get too hot and crack. The silicone comes in clear and in other colors too and has up to a 50 year warranty and in 50 years I shouldn’t be worrying about any windows. lol This is one of those absolute for sure SAFETY GLASSES REQUIRED projects though cause nothing can ruin an eye any easier than a shard of glass. Gloves are a good idea as well. Where can I buy polyglas? Pretty good snapshots and guide to go with it! Very nice. Alot of newbies and at-homer’s could get a leg up by following this post. Good stuff..